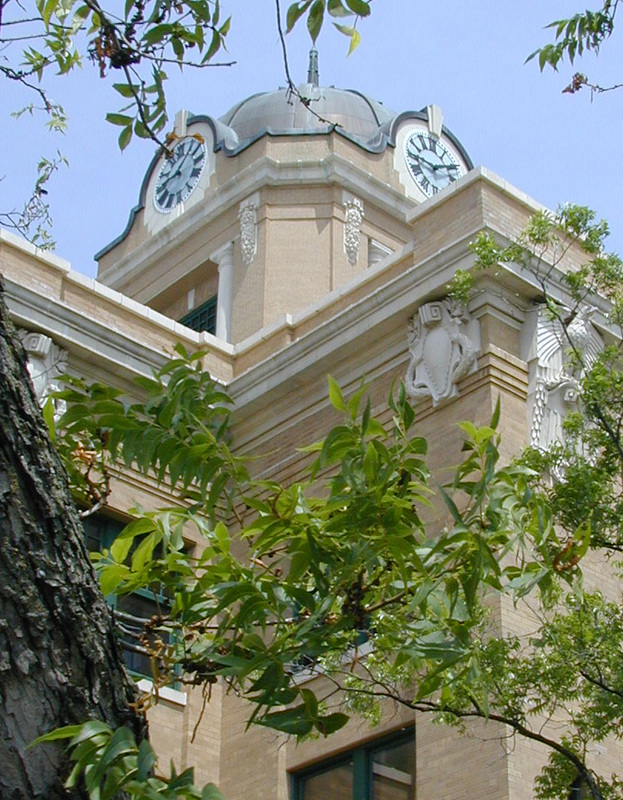 Cooke County officials in Gainesville contacted the Museum for a recommendation on the restoration of their E. Howard tower clock. 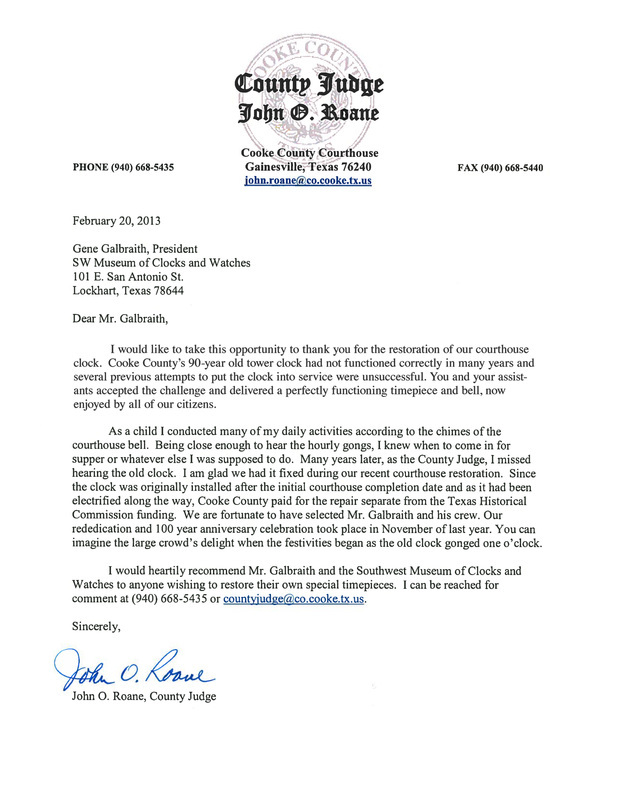 On June 3rd, 2012 we met with the County Judge, John Roane, and his staff in the tower of the courthouse. The condition of the clock was extremely poor. 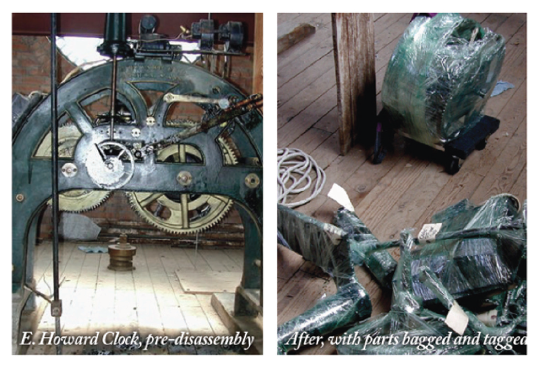 Gene Galbraith along with the Southwest Museum of Clocks and Watches' crew restored the clock and re-installed it in the tower in time for the November 2012 rededication and 100 year anniversary of the courthouse!